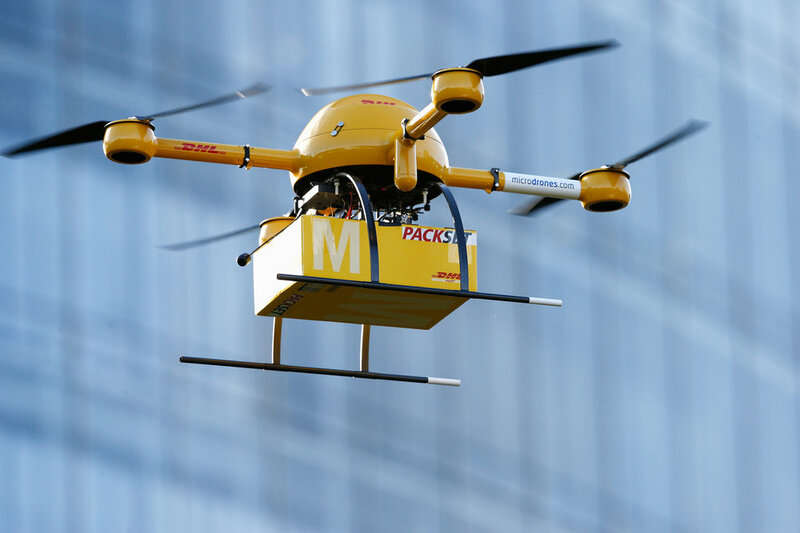 Drone delivery has been vaunted as a killer app by thought leaders who think that moving shipping to unmanned aerial vehicles will be a transformative change in freight. Drones will allow developing countries to bypass massive infrastructure investments they cannot afford, like in Rwanda, where Zipline uses drones to deliver blood transfusions and other medical supplies; researchers at the University of Washington found that drones lower the carbon footprint of last-mile delivery compared to trucks; the previous Mayor of London, Boris Johnson, thought drones could help reduce that megacity’s notorious congestion. The hype coming from tech firms, governments, academia, and industry coincides with the Trump administration’s new plan to clear the way for commercial drone testing in the United States. But there is one thing that drone delivery won’t do: save energy. The RAND Corporation released a study by Timothy Gulden earlier this year that simulated the total energy-use impact of shifting the most suitable (lightest total weight) 20% of UPS deliveries in Minneapolis from traditional delivery trucks to drones. Surprisingly, the result was an energy savings of only about 5.7%. The theory was that eliminating stops from drivers’ routes would result in a smaller truck fleet burning fewer gallons of diesel—moving the lightest packages in light drones should be more energy efficient than moving the same light packages in heavy trucks. Trucks have a major advantage over drones, though, when it comes to route density: trucks can carry hundreds of packages and make hundreds of stops per route, while a drone will have to return to its port to be reloaded and even recharged every one or two deliveries. It’s worth noting here that the RAND study’s simulated drones were based on the aircraft currently being tested by Amazon Air, which can carry a 5 lb package to a delivery point within 10 miles of its base. MIT alum Long Phan is working on a hybrid drone that will be able to carry 100 kg for 3 hours, but its gasoline usage would reintroduce the problems of noise and carbon emissions that drones were supposed to solve in the first place. Gulden’s study found that using drones for the 20% lightest deliveries in Minneapolis would require 13 fewer truck delivery areas, 468 fewer truck miles, and 46.8 fewer gallons of diesel fuel. The drone delivery would involve 1,550 drone trips totaling 9,406 miles flown. The basic delivery mission is assumed to involve take-off and climb to 400 feet, cruise at 50 miles per hour, and up to 60 seconds of hover and/or climb in the delivery area. The simulation allows for a 10 km/hr (kilometers per hour) headwind in each direction and leaves a 20-percent energy reserve upon returning to the depot. The energy required by the drones is equivalent to 20.4 gallons of diesel fuel, and when the drones’ energy usage is subtracted from the trucks’ savings, the result is an overall savings of 26.4 gallons of diesel a day. While drone delivery may help reduce carbon emissions—presumably the electric grids charging the drones’ batteries are greener than the trucks’ internal combustion engines—in the short term, as the automotive and trucking industries transition to electric vehicles, that advantage will evaporate. As millions of electric vehicles plug into the grid to charge their batteries, the new problem will be less carbon emissions and more overall energy consumption. And that’s a problem that drone delivery cannot solve.